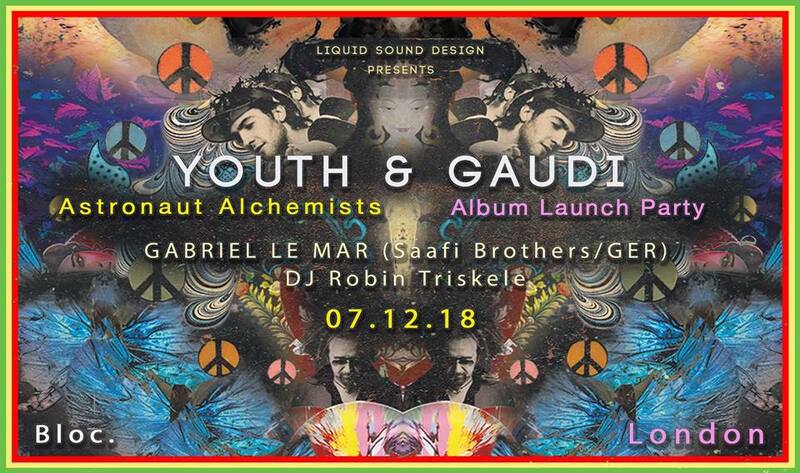 HF / Forums - Youth & Gaudi Live - 'Astronaut Alchemists' Album Launch this Friday! HarderFaster Forums >> Upcoming Events and Adverts >> Youth & Gaudi Live - 'Astronaut Alchemists' Album Launch this Friday! Freshly back from ongoing tours around the globe, Youth & Gaudi are in the UK at the same time so we took advantage of that to bring you a very special event. We are pleased to have booked the Bloc club for this special event. 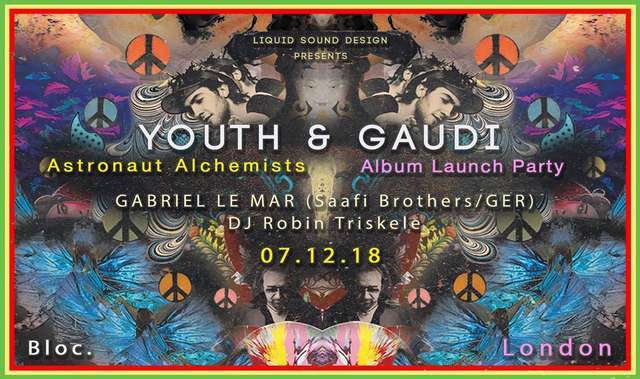 The club boasts an impressive high end sound system that will carry the analogue and bass frequencies of Youth & Gaudi perfectly..
Don't miss the rare chance to see them together performing LIVE to present their new album with you, trust us you will not be disappointed. Expect a night filled with funky beats with a warm up set by label manager DJ Robin Triskele and dub/techno legend Gabriel Le Mar (Saafi Brothers, GER) to finish the night off. This album, as the title would suggest, is two (wall breaking and out there) artists/producers coming together - Youth: highly respected music producer, sonic pioneer and founder & bassist of Killing Joke and Gaudi: international dance floor rocker and maverick producer of note. Two bass leviathans duelling their way through sci-fi, psychedelic dub space ....and the resulting album is truly a lesson in synergy. Astronaut Alchemists was made the purists way; the album was recorded over two years, each session was done together in the studio, face to bass, heating the metal of inspiration and pouring and shaping it as it flowed. As GAUDI said of the recording process, “something organically surfaced since the beginning of our studio sessions: the chemistry. Chemistry is vital when you work in the studio with another artist, it’s that magic thing that you can’t really study”. It’s amazing, with the schedule that they both keep, that it only took 2 years to coordinate the required studio sessions! All played on a superb hi definition soundsystem with full BASS at an intimate venue with décor and projections by Geomatrix Designs. Expect a night of truly LIVE dubtastic grooves and funky beats. ** There will also be an LSD/Dragonfly stall with CDs, vinyl & other merchandise! ** tickets limited to 400 so be sure to grab yours now to avoid disappointment!